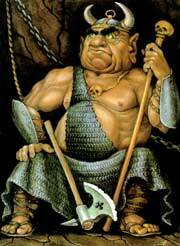 Chief Wobbletum – Will the Goblins succeed in stealing all the mince pies? Professor Paradox has devised a special Christmas Party Show for Schools, and village events. Suitable for children aged 4 – 11 this is an hour long sit down show that is guaranteed to get everyone laughing, joining in, and wanting more. If you are looking for a Christmas Party Entertainer, you have landed in the right place. A Christmas Show Finale – Could that be one of the teachers dressed as a fairy? So begins the Professor Paradox Christmas Party show, a performance that becomes an adventure in a desperate quest to save Santa before it’s too late. Featuring the magic walking stick, the enchanted trumpet, and the terrifying balloon, this show presents the Professor at his silliest and most inventive. Magic spells, and seasonal surprises combine with fun and laughter to provide a show that brings the spirit of Christmas to life. You won’t find better Christmas Party Entertainment than this! The Professor Paradox Christmas Show! The Christmas Show is a typical Professor Paradox show with loads of audience participation, huge dollops of slapstick, a sprinkling of magic, and lots of laughter, and above all a story. With the help of the children it all ends happily, and a rather sleepy Santa sets off to scoff all the mince pies, and the children all get far too many presents, provided Santa doesn’t suffer too much from the spending review! Christmas Party Entertainment for Children. Looking for a greate Christmas party entertainer in Devon? Professor Paradox has a wonderful Christmas Party Show – areas covered include: Axminster, Budleigh Salterton, Exeter, Exmouth, Honiton, Lyme Regis, Newton Abbott, Ottery St Mary, Sidmouth, Tiverton, Topsham, Totnes. Christmas Party Shows in Dorset. Original and hilarious Xmas Party Shows are available for most of Dorset? Professor Paradox provides spectacular Christmas Party Entertainment in most of Dorset including the following towns: Blandford, Bridport, Dorchester, Gillingham, Shaftesbury, Sherborne, Weymouth, and all the villages in the area. Make that Christmas Party really special! Entertainment for Childrens Christmas Parties in Somerset. Need a good entertainer for a Christmas Party In Somerset? Professor Paradox performs children’s Christmas party shows in much of Somerset including South Bristol and Bath, Bridgewater, Bruton, Burnham on Sea. Castle Cary, Cheddar, Chard, Frome, Glastonbury, Langport, Shepton Mallet, Somerset, South West England, Somerton, Street, Taunton, Wellington, Wells, Weston-Super-Mare, Wincanton and Yeovil. Children’s Christmas Party Entertainer for Kiddies Christmas Parties in Wiltshire – Professor Paradox provides Great entertainment for children’s Christmas parties in the following areas of Wiltshire: Bradford on Avon, Radstock, Trowbridge, Warminster, and the villages in between. Make that Christmas Party for Children in Wiltshire really special with an amazing Professor Paradox Christmas Show!